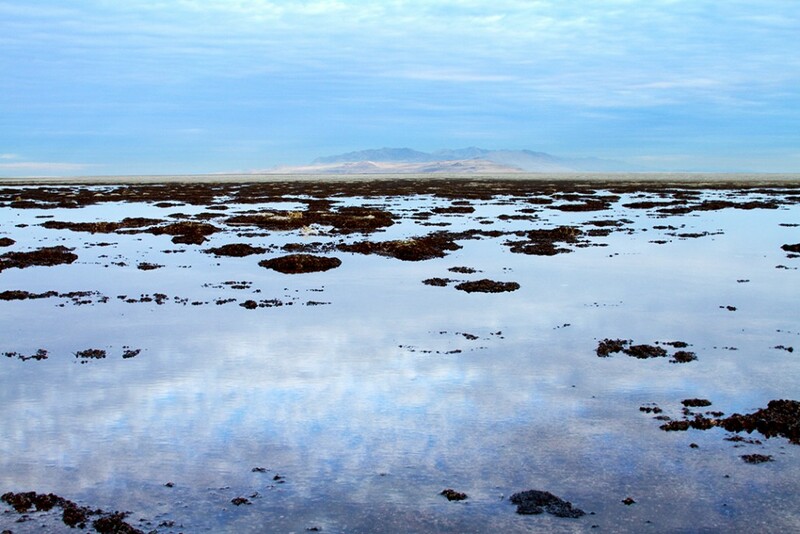 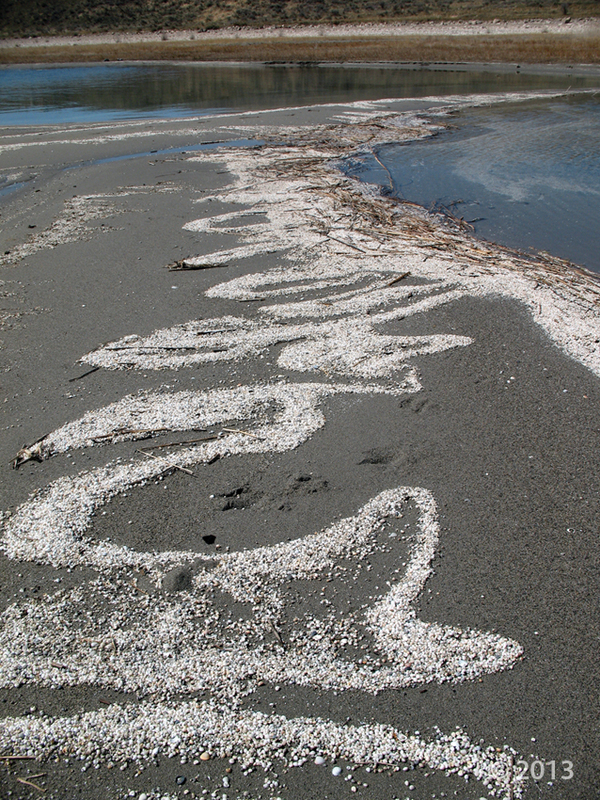 Is there coral in Great Salt Lake? 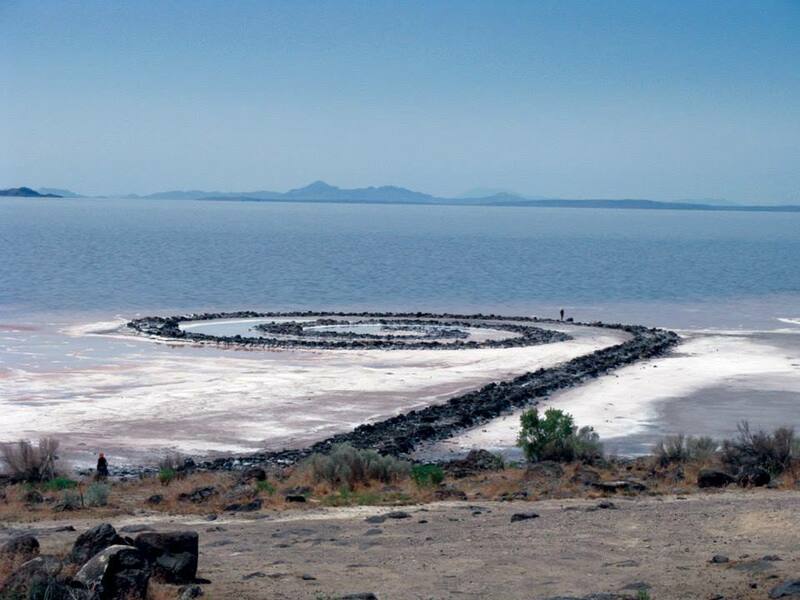 Pink Water, White Salt Crystals, Black Boulders, and the Return of Spiral Jetty! 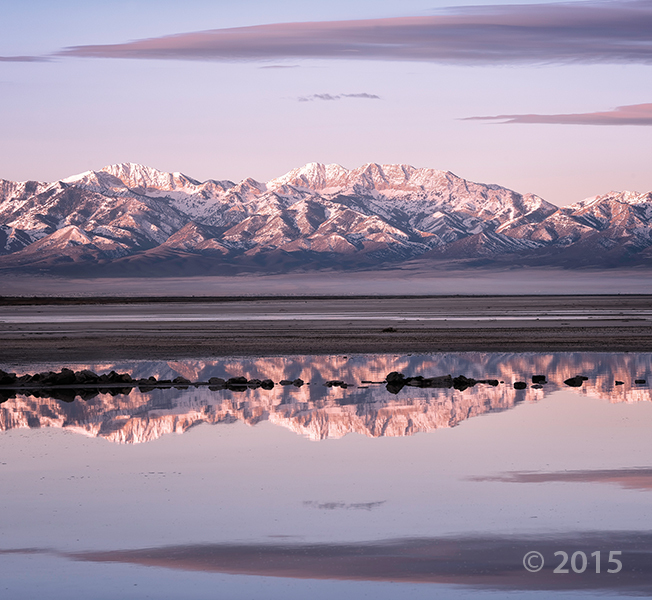 Flash-animated Lake Bonneville through time. 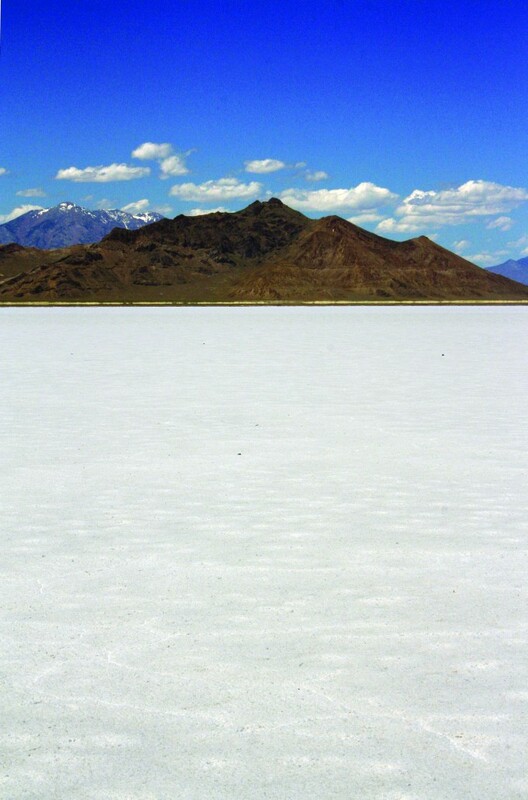 One of the largest and most well-preserved shoreline remnants of Lake Bonneville. 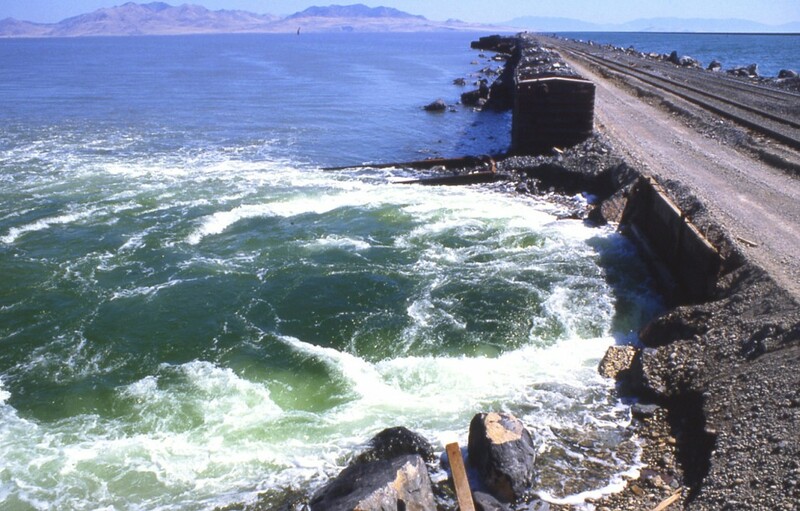 Microbialites take several forms: thinly layered (stromatolites), clotted (thrombolites), spherical (oncolites), and precipitated from mineral-rich springs (tufa or travertine). 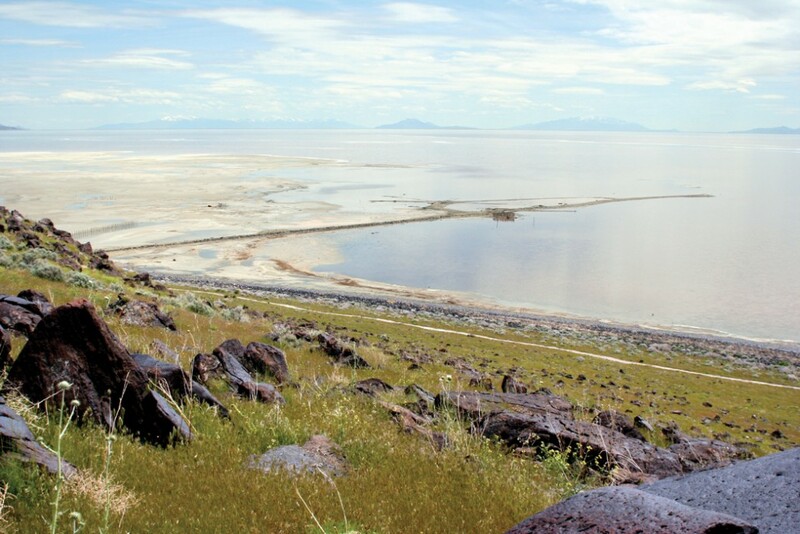 Stromatolites are currently growing on the gently sloping floor of Great Salt Lake at shallow water depths where the blue-green algae receives sufficient sunlight for photosynthesis. 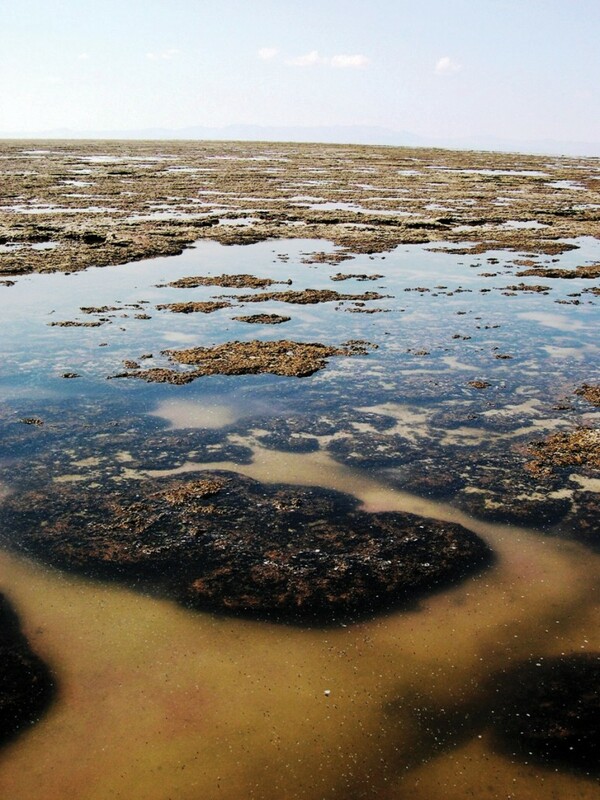 Click here for additional information on microbialites in Oil & Gas. 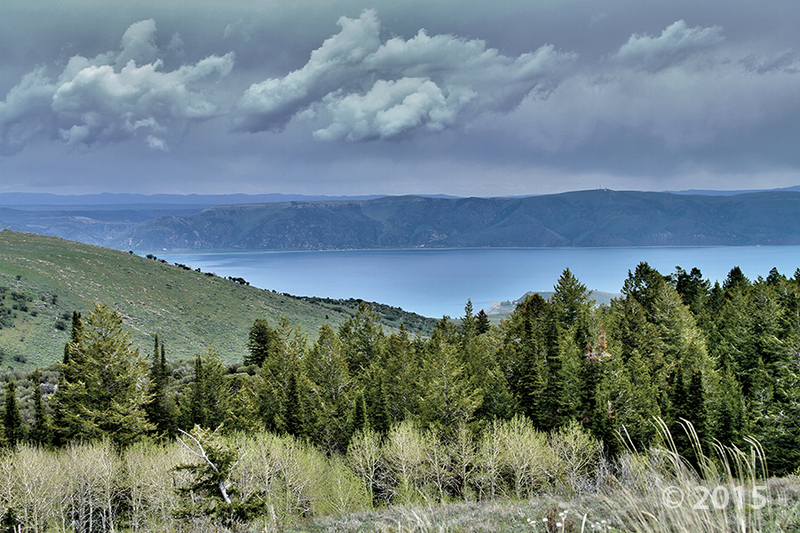 Presented at the International Limnogeology Congress 2015, June 15-19, Reno, NV. 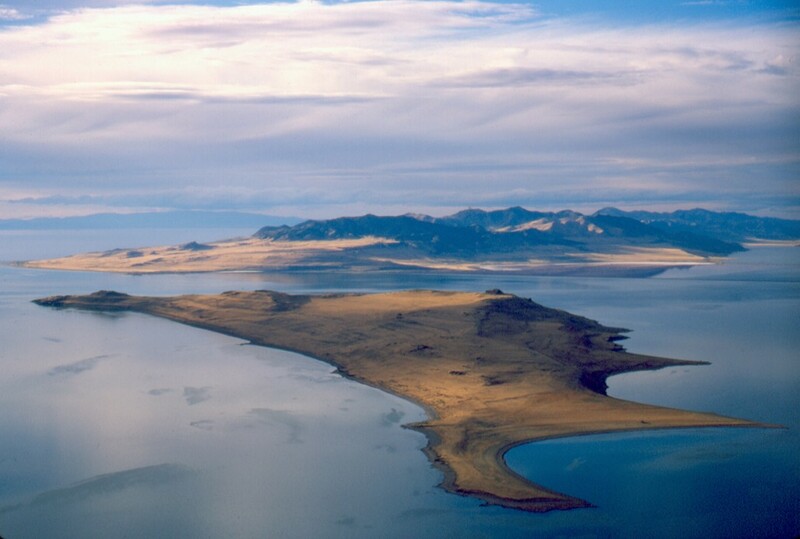 UGS geologist Michael Vanden Berg teamed up with individuals from Loma Linda University to fly a drone/GoPro over the microbialites/bioherms in the shallow waters of Great Salt Lake on the northwestern tip of Antelope Island.